Freshman Rachael Meachem was inspired to draw attention to accomplished African-American alumni and authors, after she wrote a reflection based on Dr. Albert Brinson’s visit for Dr. Paula Quall’s Old Testament class. 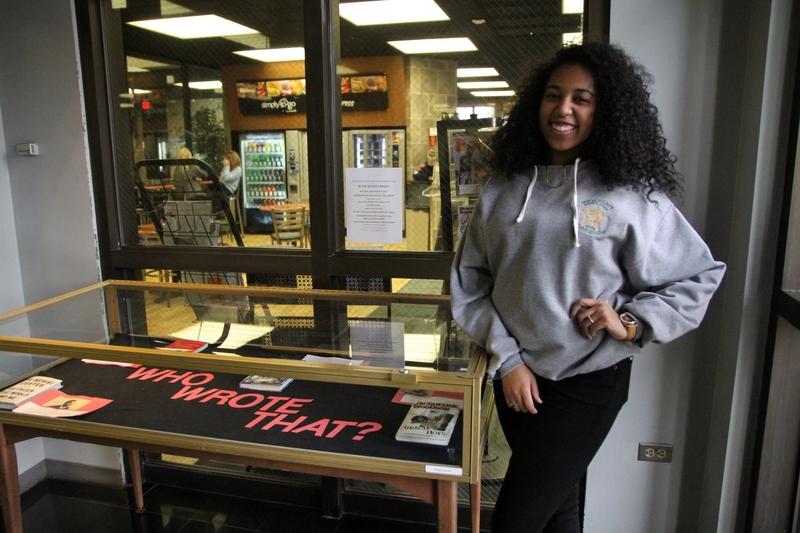 Meachem has created displays for the library for the month of February, as well as a guest post about lesser-known individuals that have made a difference for civil rights. Meachem stands with her display in the library. school. She started with Artis Gilmore, a basketball player from the class of 1969, then found information about many more African-American athletes that had also graduated from Gardner-Webb. However, this project required a lot of responsibility because Meachem was acting by herself, rather than as a part of a group effort. Ultimately, Meachem was encouraged to complete her project by her family, and others around her at Gardner-Webb. 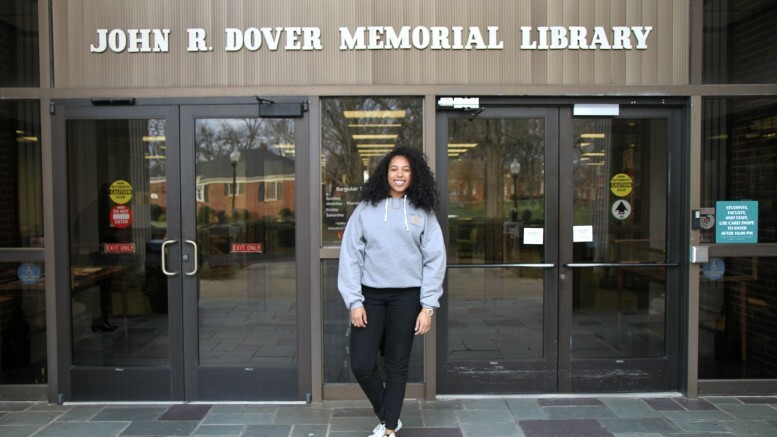 Although she wasn’t working with an organization, Meachem was able to call on the support of another student, senior Heaven Watson-Weary, for help with her research. Watson-Weary was excited to contribute, and provided information about the portion of the project centering around authors. 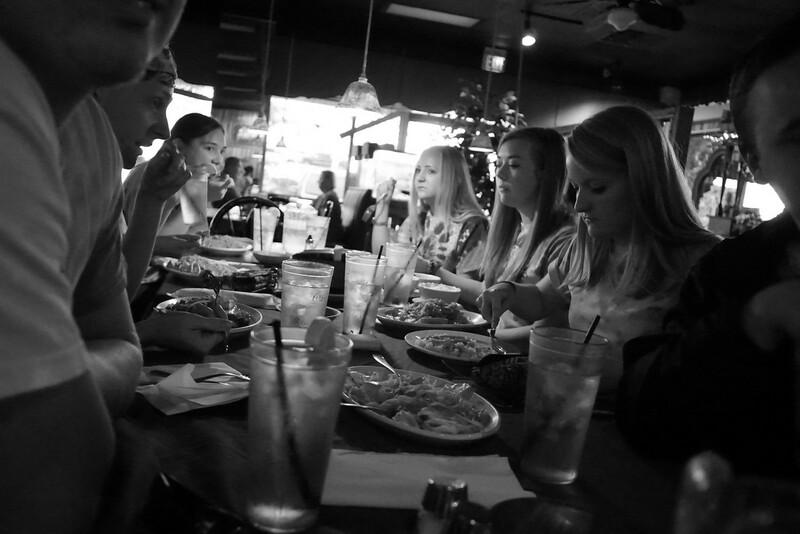 “We have this month to highlight things we don’t learn [about] on a regular basis in our classrooms,” said Watson-Weary. Meachem hopes that her work will begin a discussion about the contemporary issue of race, as well as the influence of these people from the past. 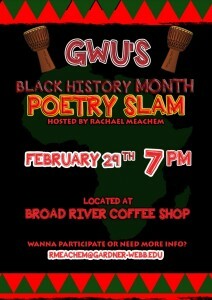 “Sometimes even I overlook Black History month, so I’m sure that a lot of other people do as well,” said Meachem. Two of Meachem’s displays can be viewed in the front lobby of the library, along with one more that is still in progress. 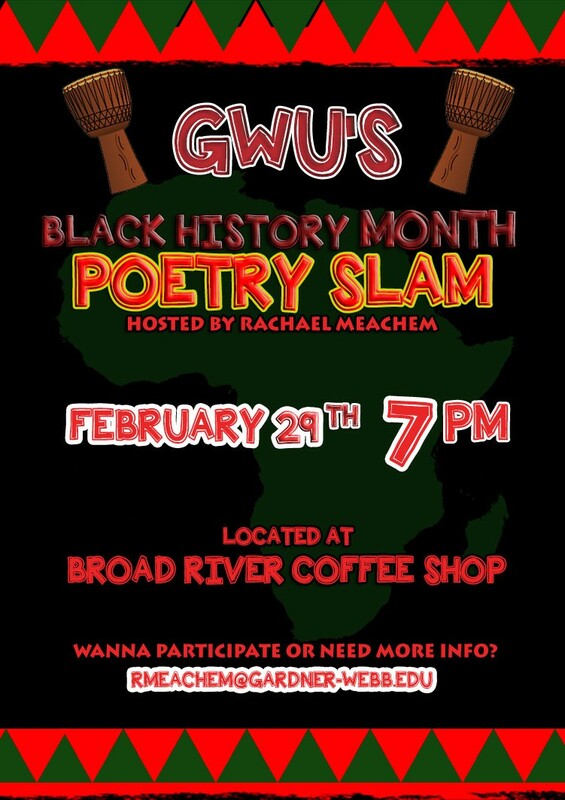 Meachem is also organizing the Black History Month Poetry Slam at Broad River Coffee Shop, Feb. 29, at 7 P.M. For more information, contact rmeachem@gardner-webb.edu. 1 Comment on "Gardner-Webb freshman brings awareness to Black history"